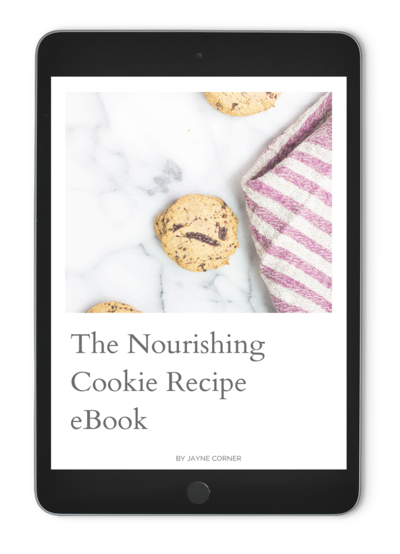 Contained within this short eBook are four delicious recipes to get you started, and experimenting in your kitchen. Free from refined sugar, grains, eggs and dairy, I'll show you how to use the natural sweetness of fruits and vegetables to make your own yummy and healthy treats! Ready to start baking? Sugar and gluten free sweet treats for any occasion! • Learn how to use the natural sweetness of fruits and vegetables to sweeten your food. • Discover how easy it is to bake without flour. refined sugar and 'traditional' baking methods. • Get four delicious and simple recipes you can make ahead of time so you always have something super delicious and healthy on hand when you're hungry.